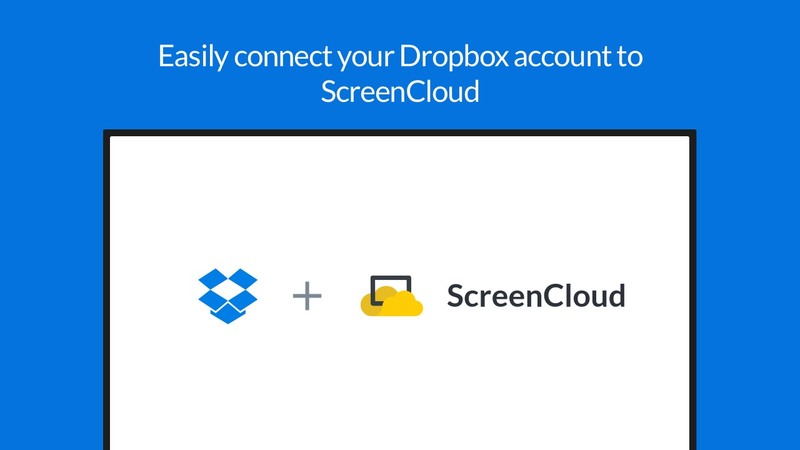 Easily connect your Dropbox account to ScreenCloud, then choose which image folders to show. 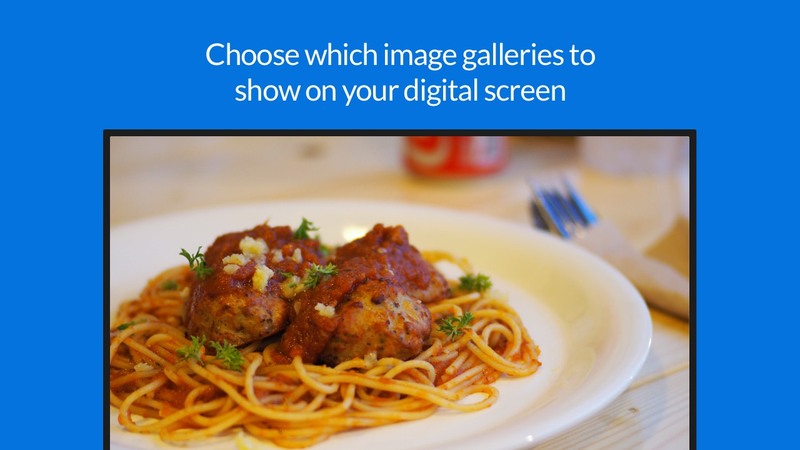 Choose the timing of the image galleries, then customise your background and image animation. When you update your Dropbox folder, the new images will automatically be added to your digital screen.